You served me and my offspring well, Nissan Murano. It's too bad that lady ran a Stop sign and put you into that nice woman's front steps on Anderson & Paulsen. It's a good thing you were a safe car and took one for the team. It's also a good thing that the valuable cargo had already been dropped at school. Thank you Nissan Murano for being the first car in the world of my firstborn, and for moving the family safely from Omaha to Kalamazoo to Savannah. Thanks for lugging me and two exhausted children through 14 states in 16 days on the epic summer road trip of 2010. I don't believe that things happen for a reason, but there's a reason things happen. It was about time for some new wheels and you can't get too sentimental about machinery, unless you're Neil Young. 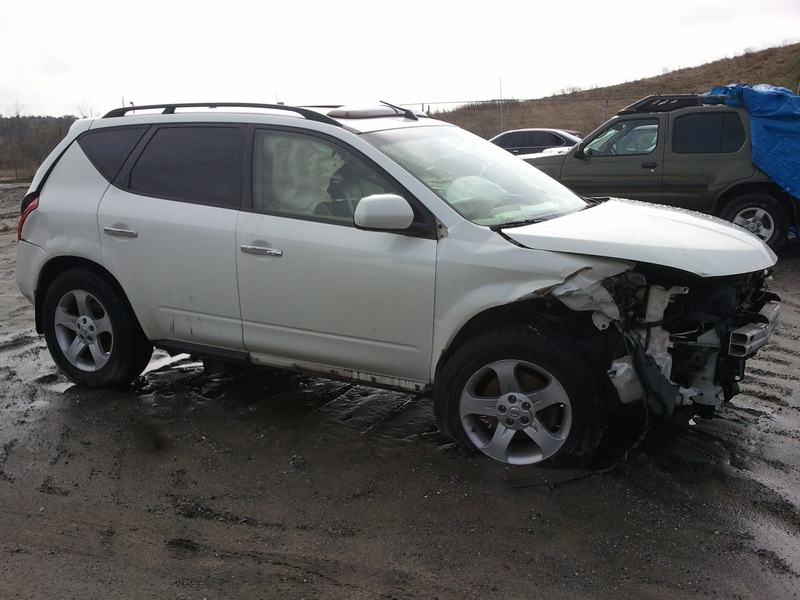 So Long May You Run Nissan Murano, somewhere in automobile heaven. Your 130,000 miles were not wasted. In case you're wondering, Backtime's Executive Editor walked away from the crash. I was banged up, but unbroken, and a little out of sorts to remember to take pictures of the actual scene. There will be much, much more on a day in the life of a crash test dummy, coming soon.